Theatre for Young America presents Go, Dog. Go! at Union Station City Stage. Go, Dog. Go! 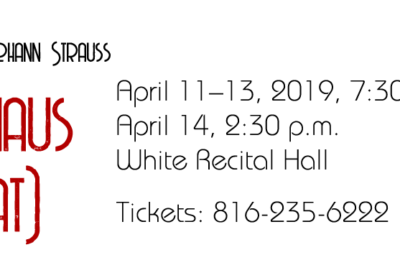 runs at Theatre for Young America April 9th to May 11th, 2019. 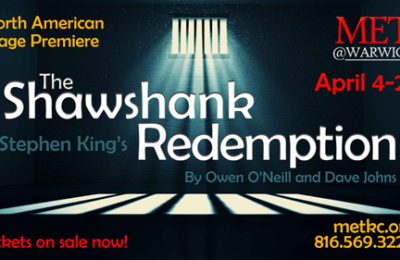 The cast features the talents Coleman Crenshaw, Mikala Sullivan, Franci Talamantez-Witte, Eric Johansen, J. Will Fritz, and Diane Bulan. Valerie Mackey will direct this TYA favorite. P.D. Eastman’s classic book is the foundation for this extravagant entertainment that features a group of highly mobile dogs careening around in cars, scooters and anything that rolls fast. They work, play and finally have a Dog Party. This seemingly simple tale introduces young audiences to concepts such as color and relative positions, the differences between in and out, up and down, blue and red, while providing hilarious fun. Curriculum connections: visual semiotics, colors, relative positions, reading readiness. The play explores all the ways that dogs “Go.” It is very physical and funny. It jumps from activity to activity without a strong plot line. Just like in the book the dogs come in all colors—blue, yellow, red, green, pink, and so on. They are also in all sizes-big or small. The focus is more on what the dogs are doing than on what they are thinking. They do circus acts. They sing. They dance. They drive cars. They boat. They parade. Hattie, the pink poodle is always asking, “Do you like my hat?” as she models her creations at different points in the play. Finally, the big dog says he does like her hat. The dogs go to sleep. 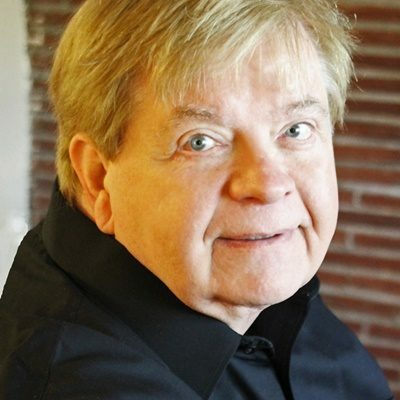 Dr. James Larson adapted the book into the play script for the Omaha Theater Company for Young People where he served as Artistic Director from 1984 to 2012. He has retired from that position to write young adult novels. Among the books he has adapted into plays are THE LITTLE ENGINE THAT COULD, THERE’S AN ALLIGATOR UNDER MY BED, and THE MOUSE AND THE MOTORCYCLE. Dr. Larson used all of the actual words of the book and many of the book’s illustrations as the actions of the play. Valerie Mackey has directed the play in a clowning style with both real props and two-dimensional props made to look like the book illustrations. P.D. 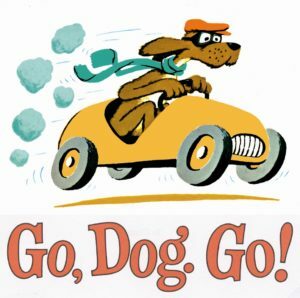 Eastman is the man who wrote the original children’s book GO,DOG. GO! He was an American writer born in 1909 and he died in 1986. His full name was Philip Dey Eastman. He was born in Massachusetts where he also went to college. Among his other twenty-six books are BIG DOG, LITTLE DOG, WHAT TIME IS IT? and ARE YOU MY MOTHER? He collaborated with Dr. Seuss (Theodor Geisel) on THE CAT IN THE HAT DICTIONARY and “Private Snafu” training films during WWII. Sometimes people confuse Dr. Seuss with P.D. Eastman, but they were two different people. Mr. Eastman also worked on the nearsighted Mr. Magoo cartoon series. Performances take place on the City Stage, located on level B in Union Station. Union Station is located at 30 W. Pershing Road, Kansas City, MO. Season, single, or group rate tickets may be reserved by calling Theatre for Young America at 816.460.2083. Group and single tickets may also be purchased from Union Station at 816.460.2020 or reserved online at www.unionstation.org. The single ticket price is $12.00. Groups of 15 or more are $5.50 per person with a reservation. For information about our season or other programming visit our website at www.tya.org. Theatre for Young America is a professional theater company, which primarily employs local actors, many of whom are members of Actors Equity Association. Theatre for Young America, Inc., is a not-for-profit 501(c) (3) corporation.